What with the election of a new pope on Wednesday, it seemed appropriate to discuss a religious fake today. However, I decided for today’s post to add a caveat to the title, because this a particularly controversial fake, to say the least. Religious fakes tend to be, and certainly on this scale. Legend tells of a mythical shroud that was wrapped around the body of Jesus after the crucifixion. During the fourteenth century A French family donated a shroud to the local church purporting to be that very shroud, where it stayed until it arrived in Turin around 1570. Nobody paid much attention to it (apart from it being a holy relic and all) until a local amateur photographer decided to take a few pictures of the shroud in 1898. The negative plates revealed a clear outline of naked and emaciated man with a clearly defined face and signs of the tortures inflicted on Jesus during his Crucifixion. Then, to quote Thomas Hoving so I don’t appear too blasphemous, “all hell broke loose.” (False Impressions, 47) It took decades before anyone could even begin to publicly question the legitimacy of the shroud, and it wasn’t until carbon-14 dating of the shroud finally revealed not only the true age of the shroud (I’ll give you a hint, it’s not anywhere close to 2,000) but that the image was in fact painted on that the shroud finally lost its credibility. 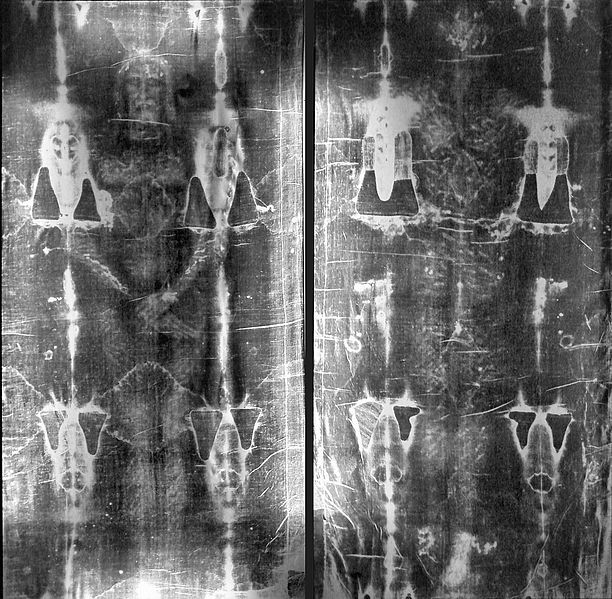 The true irony of course being that fake busters were already decrying the authenticity of the shroud when it was first displayed in the fourteenth century, which only goes to show that sometimes, it can unwittingly take science hundreds of years to catch up with the truth.